West Tannacrieff is a working dairy farm set in the peaceful countryside of Ayrshire. Our B&B establishment is adjacent to our farmhouse so you have your own front door to come and go as you please. There is also a large parking area. We have a large garden and patio where you can relax and unwind. 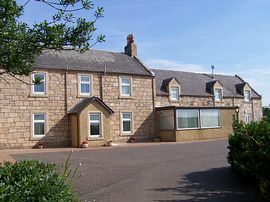 The building is a converted byre which has been tastefully renovated and individually decorated into four ensuite rooms, all with modern amenities. 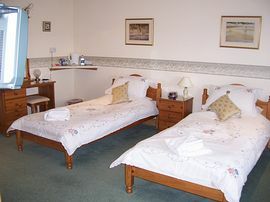 Each room has its own colour television and tea and coffee making facilities along with home baking. 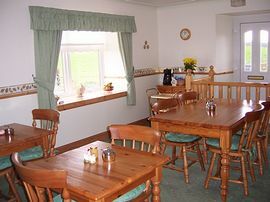 In the morning you can enjoy our hearty breakfast with homemade tea-breads and preserves. 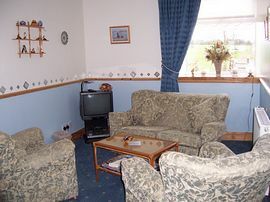 West Tannacrieff is an excellent base for exploring Ayrshire's many tourist attractions. You can go on day trips to Arran, Millport and Rothsay. We have many golf courses situated close by as well as show jumping at Rowallan and fishing and shooting at Cowans Law. Glasgow is only 20 - 30mins from us by car. We strive to give our guests an enjoyable stay. From North: leave M77 at junction 7 roundabout, take right go along this road and take 2nd road on right. Farmhouse facing you. At end of slip road take right. At roundabout take left. From South: leave A77 at junction 8 (sign for Kilmaurs)at end of slip road take left. Go along this road and take 2nd road on right. Farmhouse facing you. Tariffs for January to December 2007. Single: £27.50 - £30.00 Per Person. Two People Sharing: £25.00 - £30.00 Per Person. Excellent food and hospitality completes the sheer ambience this accommodation posseses.- Australia. 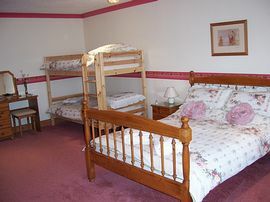 Lovely,rooms with much space; comfortable, we had a fantastic stay.-Holland. A real Scottish welcome (a haven) accommodation supberb.- England.